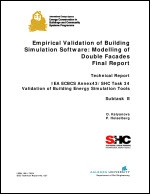 This report is an outcome of the empirical validation of building simulation software tools conducted within the Subtask E: Modelling of a Double Skin Façade of International Energy Agency (IEA), Annex 34, Task 43 by the Experts Group composed of experts from the Solar Heating and Cooling (SHC) Programme. 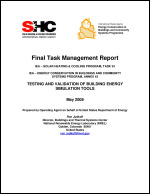 The main objective of the Subtask E is for buildings with Double Skin Façade (DSF), to perform empirical validation and, in this way, to assess suitability and awareness of building energy analysis tools for predicting energy use, heat transfer, ventilation flow rates, solar protection effect and cavity air temperatures of double-skin façade. 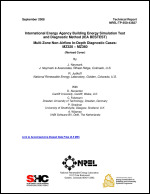 This report documents a set of idealized in-depth diagnostic test cases for use in validating groundcoupled floor slab heat transfer models. 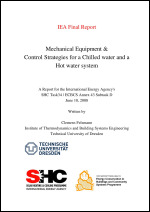 These test cases represent an extension to IEA BESTEST,1 which originally focused on testing and validation of building thermal fabric models, but addressed only cursorily the modeling of heat transfer between the building and the ground. 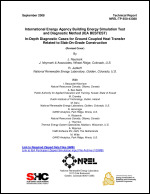 The goal of this Task/Annex is to undertake pre-normative research to develop a comprehensive and integrated suite of building energy analysis tool tests involving analytical, comparative, and empirical methods. These methods will provide for quality assurance of software, and some of the methods will be enacted by codes and standards bodies to certify software used for showing compliance to building energy standards. 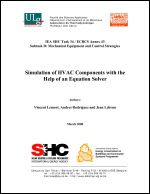 This report presents models of different HVAC mechanical equipment components. These models have been developed with the help of EES (Engineering Equation Solver). This modeling tool allows an equation-based approach: each component is modeled by a set of equations which describe the main physical processes/peculiarities inherent to the component. 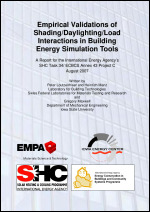 These studies are some of the most detailed empirical validations of solar gain models implemented in building energy simulation programs. The purpose of this project was to create data sets for use when evaluating the accuracies of models for glazing units and windows with and without shading devices. Program outputs were compared with experiments performed at an outdoor test cell in Switzerland and a facility in the United States. The authors’ intention is that the data are widely used by program developers and modelers for future validation efforts. 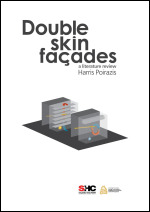 This report describes the concept of Double Skin Façades (DSF) based on different sources of literature and includes an extensive description of modeling approaches and methods for DSF including airflow and thermal simulations. The concept of DSF is complicated and its use and function affect different parameters of the building so the literature studied came from many different fields.